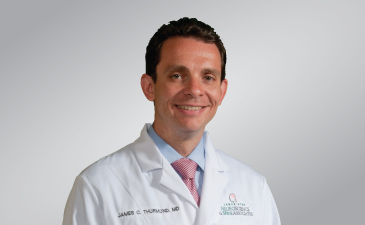 Dr. James Thurmond saw the medical community of Lancaster County as the perfect location to begin his career as a Neurosurgeon. Since 2009 Dr. Thurmond has called NeuroScience & Spine Associates his home. In addition to treatment of Carpal tunnel and cubical tunnel syndromes, median and ulnar nerve entrapment as well as Perineal nerve compression. Vascular surgery (aneurysm evaluation and treatment). Brain and spinal cord tumor evaluation and treatment.